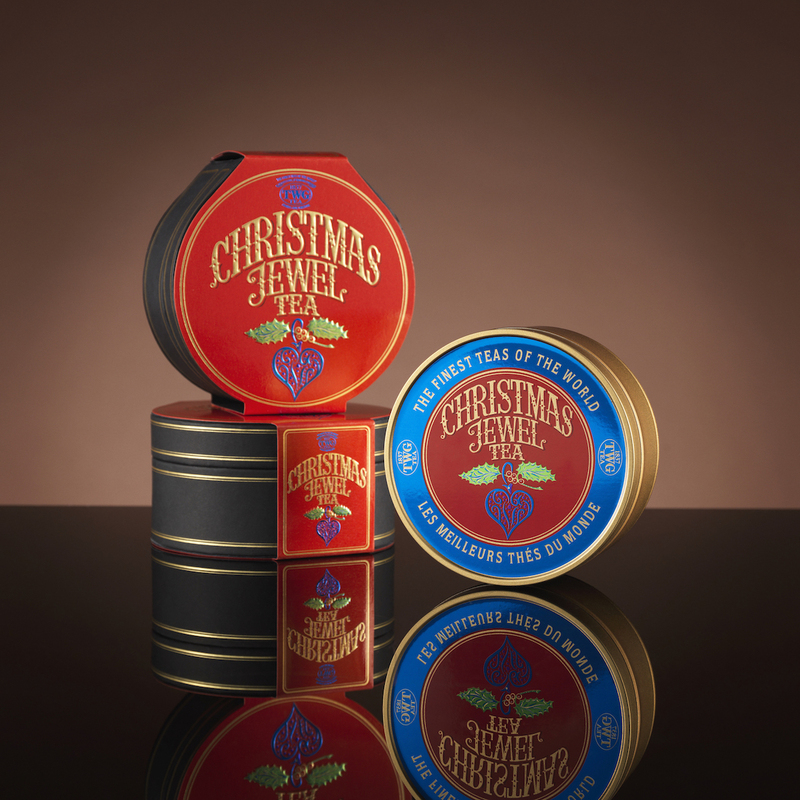 Once upon a TWG Tea Christmas, in a towering castle set in mountainous drifts of snow as fresh and frosty as rough cut diamonds, a gleaming little box sits hidden at the foot of a towering fir tree. Holding a precious surprise, the box reveals a sparkling Christmas Jewel Tea, encased in an artfully designed locket as an invitation to a world of enchantments. 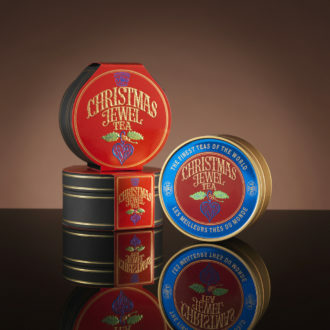 A glistening gem, this sumptuous blend of green teas is accented by festive spices, sweet orange and rare pearls of tea.